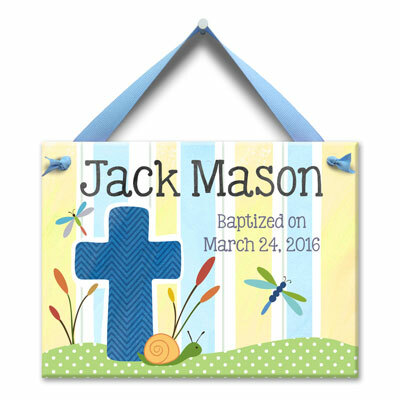 Add a playful touch to any kid's room with a personalized Little Worm and Company wall tile celebrating baby's baptism. Each tile is inspired by a love for patterns, textures and collage. 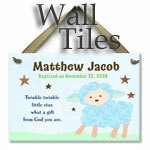 Every design is heat sealed into a ceramic tile for a long lasting keepsake. Makes a great baptism gift! This wall tile is a one of a kind... handpainted and personalized in the US just for you.